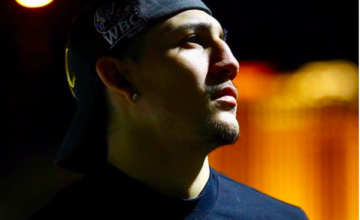 Teofimo Lopez vs. Diego Magdaleno (in photo by David Spagnolo) lightweights boxing 10 rounds. In his longest fight ever, “El Brooklyn” came out patiently in the 1st and boxed in a measured and mature manner. This delighted Jab distinctly as the next stage of Lopez’s amazing evolution is becoming apparent. He followed his Dad’s “Old School” formula and worked the body without remorse. Teofimo’s right landed so often to Magdaleno’s body that the Las Vegas native’s hands drifted south, allowing Lopez to smash him squarely in the face as the round ended. As usual, “El Brooklyn” had specific things he had prepared with Papa. He wanted to try this out and that, too. Using new stuff against a new adversary is what ambitious, talented contenders do. Lopez enjoyed rolling out new looks in the 2nd and subsequent rounds. An armory of weapons was on display. Lopez is so fast, so sure, we all held our breath until the next combination landed. And such cute little shots here and there, like the right uppercut from nowhere at 1:50 of the 2nd, that hurt “Mr Superb” badly! Mean, accurate punches from an exceptionally aggressive boxer, Lopez keeps testing and honing his technique. Teofimo was looking so slick as the rounds progressed and he went through his paces against the tough, but inferior southpaw. “El Brooklyn” was taking the older man apart as he banked rounds. In the closing seconds of the 6th Lopez dropped a right to the body and hooked with his left hitting Magdaleno perfectly on the chin. With a split-second snapping of the head, Diego morphed into a twisting scarecrow as he nearly face-planted. “Como se siente ? Quiere seguir?” said referee Gregorio Alvarez. He survived the 6th. Anyone could see that this was about to get ugly. As the 7th round opened, a still very unsteady Magdaleno egged on Lopez in a fight that he could never win. 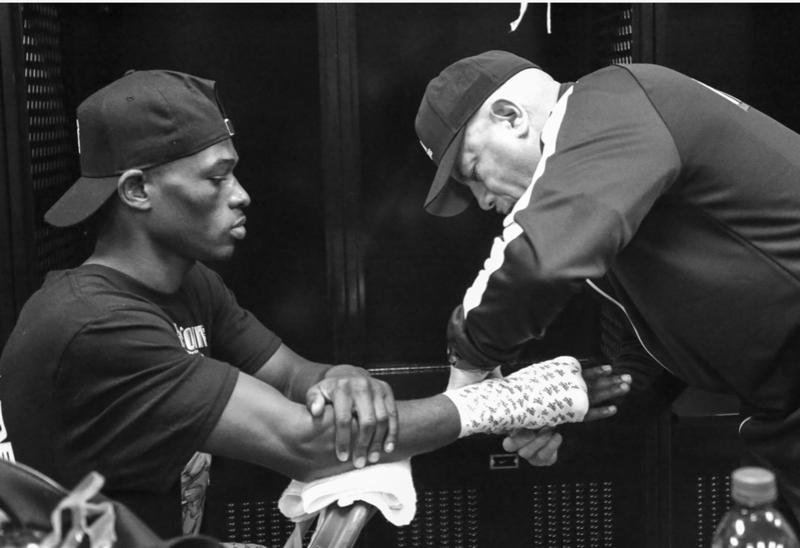 What was Ismael Salas thinking as he failed to protect his boxer? What could possible be gained by allowing Diego’s brain to be scrambled again? With two horrible, unnecessary left hooks, Lopez stopped the fight because no one else did anything to help halt it. It made Jab feel queasy, angry and sad all at once. Jab picked “El Brooklyn” to outshine “Mr Superb” via KO and is pleased that Teo took his time. Oscar Valdez vs. Carmine Tommasone was the 6th defense of Valdez’s WBO featherweight title which he won against Evgeny Gradovich almost three years ago. 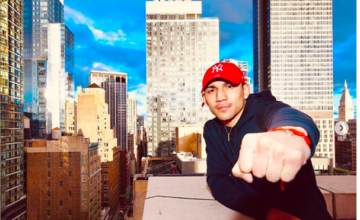 Valdez had always been a “Mexican Style” warrior, but a 5th round fracture of his mandible (jaw) by Scott Quigg last March brought new insight into the 28 year old’s defensive strategy. This was one of the first things that Jab noticed in the early rounds as Valdez returned to the ring after 11 months versus a top Italian 126 pounder. Oscar came out slowly using a tight guard and a stiff jab, the foundation of an upgraded boxing defense! His 34 yo Italian opponent showed he can really box. 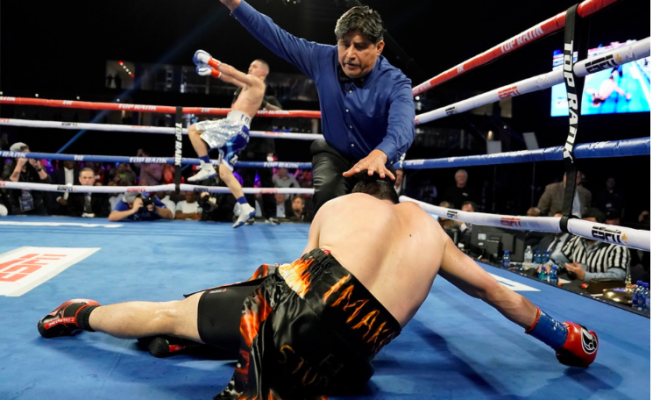 Tommasone’s defense and reflexes were sharp, his footwork and balance excellent, but his punches lacked authority and he could not find his rhythm under the steady pressure applied by Valdez. After a couple of rounds of watching and testing his prey, the Mexican hunter jumped on “Mr Wolf” and dropped him twice in the 4th, then once in the 6th. Referee Mark Nelson had been watching Tommasone with concern. At the bell started the 7th round Valdez marched forward, threw a quick jab toward the chin and “Mr Wolf” put his paws up. Then a cruel right uppercut to the spleen took his legs away, he fell back and Mark called it a TKO immediately. In a dominating performance that nicely reflects Oscar Valdez’s continued development and improvement, this young WBO featherweight belt holder looks ready to advance in the division and challenge for his 2nd title soon. 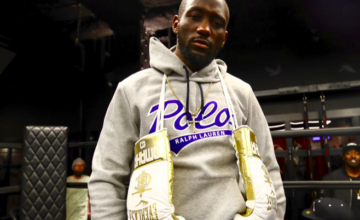 Jab Hook predicted the TKO win via referee stoppage for Valdez, but saw an earlier round. Richard Commey vs Isa Chaniev boxing 12 rounds for the vacant IBF lightweight title. Richard Commey (getting hand wrapped by Gary Stark Sr in Mikey Williams pic) came out compact with a tight defense and a stabbing jab that set the tone immediately after the opening bell. Listening to Andre Rozier’s instructions and encouragement from his corner, he used his size advantages as he closed the distance on Isa Chaniev. The top-ranked Russian lightweight tried to make an impression on Commey, to touch him, to hurt him quickly and get his respect. No chance as the African continued to come forward galvanized by the legendary boxing tradition of Accra. Commey forced a “who is the boss here?” exchange in the middle of the round and got the best of it, backing up Chaniev. The jab was setting up the left hook and Commey started to see his target clearly. He blocked or walked through every punch from Chaniev with confidence, and with half a minute left he landed a textbook 1-2 to the Russian’s chin. Dropped and and badly wobbled, Chaniev struggled to stay on his feet, but he survived the round after the saving 8-count from the referee. Round 2 opened with Chaniev still on unstable legs, which quickly failed him as Commey’s looping left put him down again. Courageous, but almost done, he got up and faced Commey’s last onslaught, only to hit the deck a second and last time. Laurence Cole had seen enough and stopped the fight 40 seconds into the round. This saved Chaniev from further damage and sent the IBF Lightweight Belt to Africa with another Champion from Ghana! Great work from the referee. Richard Commey was in tears in a pre-fight interview as he expressed the gravity of this championship opportunity. After Cole waved it off, Commy’s lovely little new championship dance after the stoppage was such a sweet moment of pride and relief. We cannot fathom what boxing means to Commey’s culture and to the people of Ghana, so deeply embedded is pugilism in their culture and history. Commey deserves this belt, Ghana deserves this new Champion. Jab Hook picked correctly, but the TKO win by Commey was faster than expected. 3 out of 4 on the weekend, Jab doubted Kovalev and paid the price. 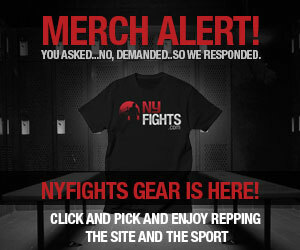 Check NYFights.com this week for more from Jab Hook.